Did you see the story of the Elkmont, Alabama couple who are holding an essay contest to decide who should receive their 20-acre goat farm? Turns out they’re not the only ones ready to hand off a farm. 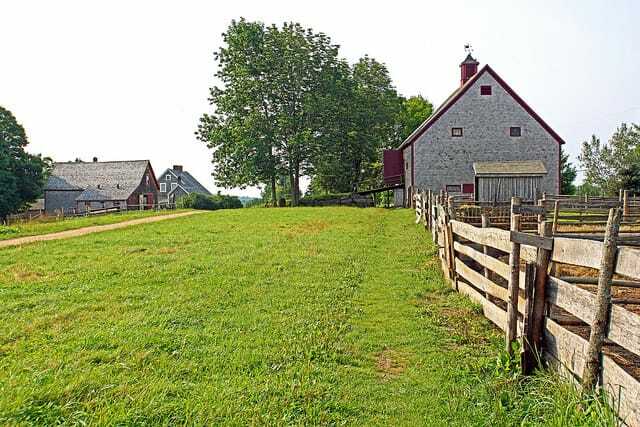 Another couple in Essex County, Virginia have decided to run an essay contest to give away their 35-acre horse farm. Here’s what you need to know to win. To win Randy Silvers and Carolyn Berry’s horse farm, you need to complete a 1,000-word essay describing your desire to live on a country farm and raise animals, according to news site Fredericksburg.com. Yes, as your English teacher told you in junior high, spelling counts! Berry and Silvers will read all the submissions and pick the top 25. As a teacher and tutor, she’ll keep an eye out for grammar, composition, effectiveness of the introduction and conclusion. He’ll be reading for content, looking for someone whose passion is living on the land and raising animals. After the essays get the red-pen treatment, the top 25 will be turned over to a three-member panel of judges, who will select the winner. The goat farm essay contest includes a $150 entry fee, which the owners hope will bring in enough money to pay off their mortgage. The Silvers/Berry horse farm essay contest has a $200 entry fee, and the couple hopes they will earn a million dollars from horse-loving entrants. The couple hopes to receive 5,000 entries at $200 apiece. That’s $1 million — enough to pay off the mortgage, buy a retirement place and set aside some money for [Berry’s] grandchildren’s college education. Wow — talk about a great money-making idea! If you are the lucky horse farm winner, keep this idea in mind and consider holding your own essay contest when it’s time to retire. For more information about the essay contest, read the full story at Fredericksburg.com. Your Turn: Are you planning to enter this essay contest and win a horse farm?